Did you know that Starbucks has a secret menu? Well, they do. And if you already knew, maybe you’ve tried Jacob’s favorite Starbucks drink: the Harry-Potter-inspired Butter Beer. We’re here tonight congratulating Jacob and Heather. A unique couple in love paired together by Schnucks. (Wait—what?) That’s right, they met at work. They have both since moved on and advanced their careers, with Jacob in the insurance industry and Heather recently graduating from Missouri State with a BFA in Drawing (She’s the artistic one 😉🎨); but they will never forget good ole’ Schnucks. 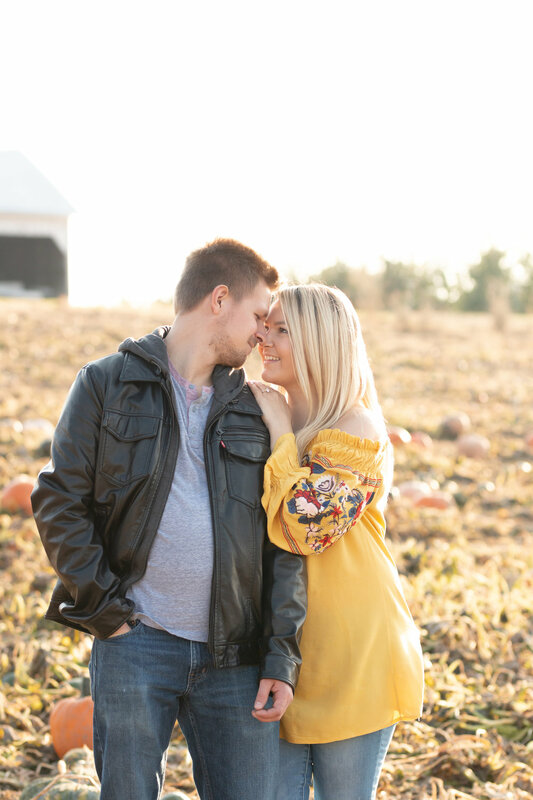 Fun fact: Jacob trained Heather at Schucks — the icebreaker necessary to break through Heather’s shy personality, leading them down a path to friendship and, ultimately, marriage. …Well, actually, it led them UP a path… a mountain path to a Colorado summit, where he proposed. 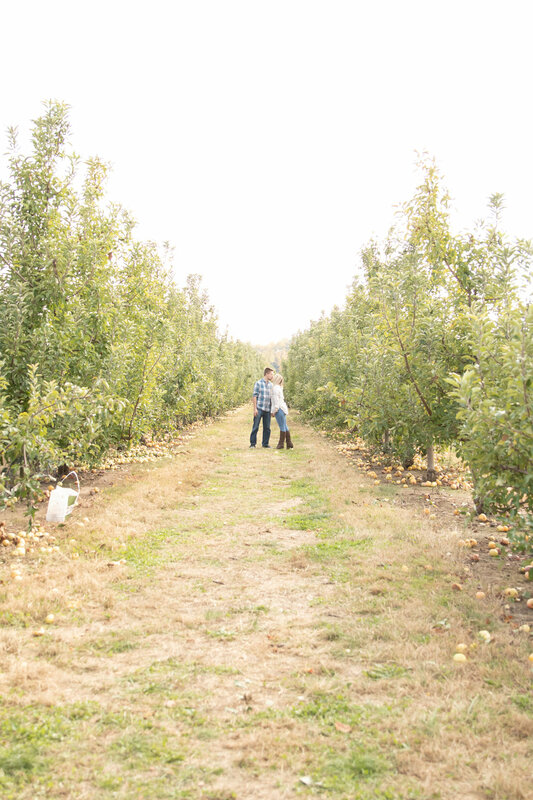 Which is why we absolutely loved their engagement story, as the mountains hold a special place in our hearts, too. Jacob and Heather love hiking, and noted that a few of their favorite Missouri hikes include Taum Sauk Trail (a 12.3-mile section of the larger Ozark Trail), Johnson's Shut-Ins, and Elephant State Park. But this fascinating couple apparently left their hearts in the Colorado Rockies, as evidenced by their plan to move there. 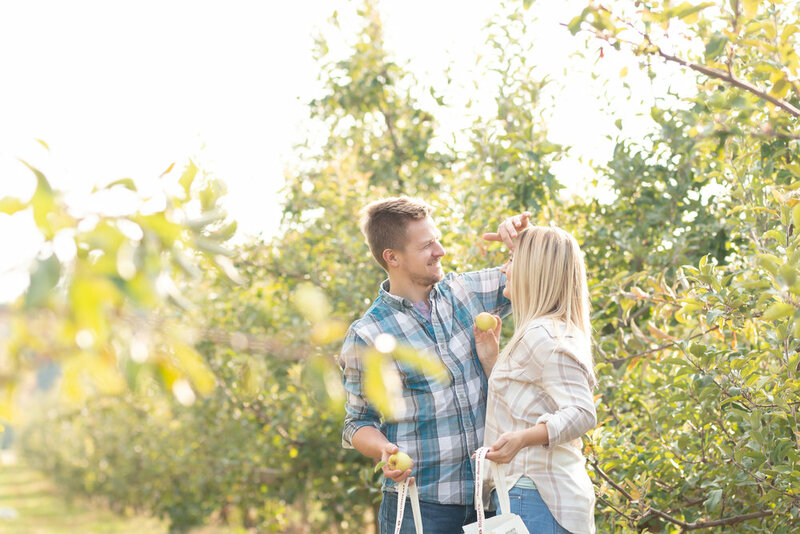 Check out their engagement session at Eckert’s Farm in Belleville, Illinois, and help us congratulate this couple as they venture down a new life trail!